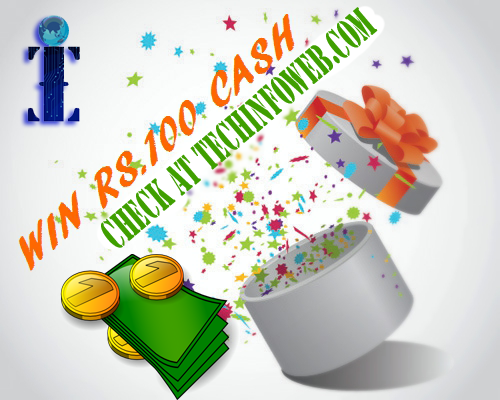 We are now announcing a contest and the winner will get prize amount of rs.100 and soft copy of certificate. First correct answer will be the winner.When we receive the first correct answer the contest will be closed.Incase if the winner not submitted the details right then we will not pay prize money and soft copy of certificate.Once again the contest process will start.Keep in mind it’s one time cash of rs.100 only.If you are the winner and when submitted details rights we will post in a blog with photo(check Details needed by us from winner). It is valid for indian users only. Answers can be sent to yarasuk236@gmail.com. How to find in-built application/softwares within windows 7 os?KIndly mention the steps right. What are the names of " applications/softwares". The winner should submit the details after the announcement in order to pay the prize amount. *A soft copy of scanned savings book of bank account to the mail yarasuk236@gmail.com. Note: it should be very clear. We want to fill from your side mentioned above because we want to conform the details are correct. Kindly note, give the correct details otherwise you will not get the amount. Also if you have blog and social sites/bookmark account you can mention and we will place it with rel=nofollow.When we made a payment ,it will be scanned and placed with this post.